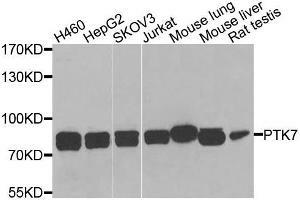 Western blot analysis of extracts of various cells, using PTK7 antibody. 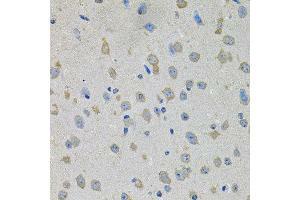 Immunohistochemistry of paraffin-embedded mouse brain using PTK7 antibody at dilution of 1:100 (x40 lens). 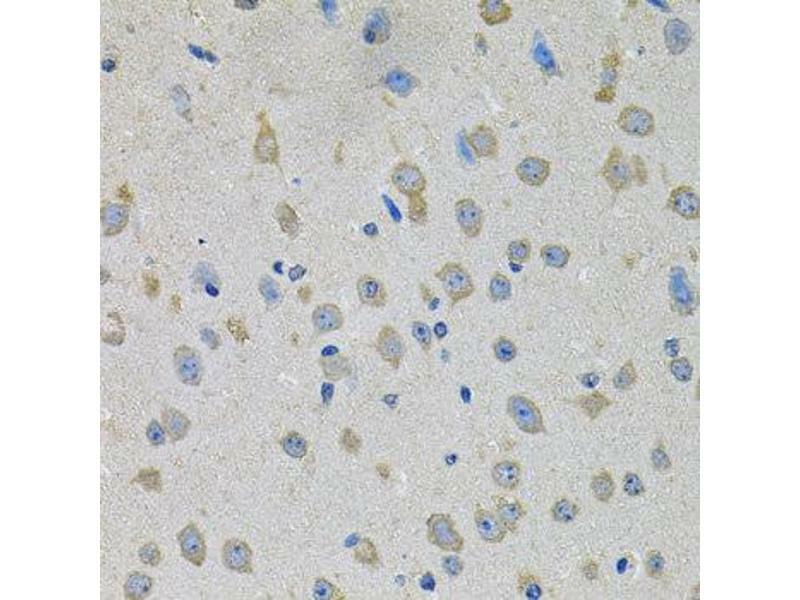 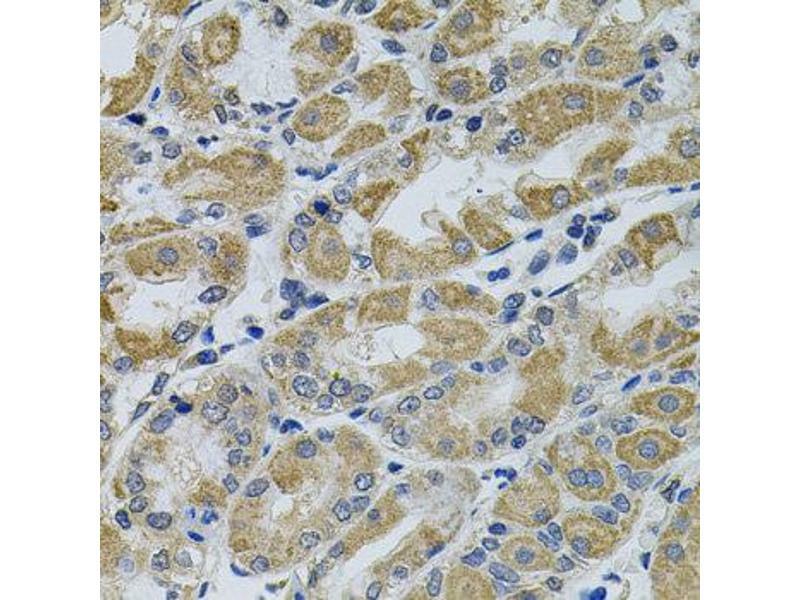 Immunohistochemistry of paraffin-embedded human prostate using PTK7 antibody at dilution of 1:100 (x40 lens). 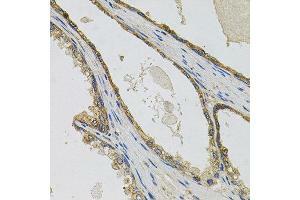 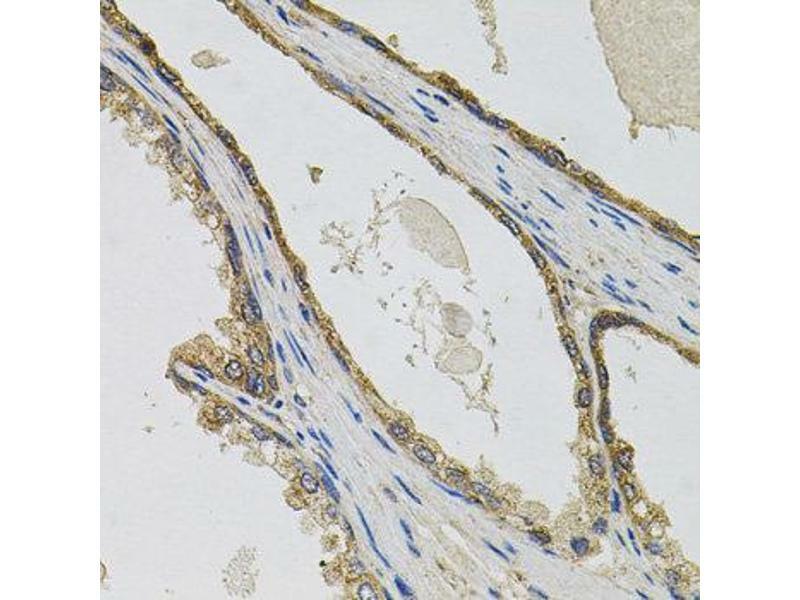 Immunohistochemistry of paraffin-embedded human stomach using PTK7 antibody at dilution of 1:100 (x40 lens). 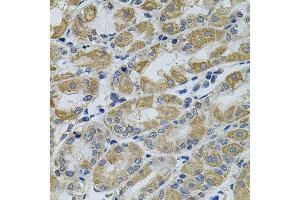 Characteristics Rabbit Polyclonal to PTK7. 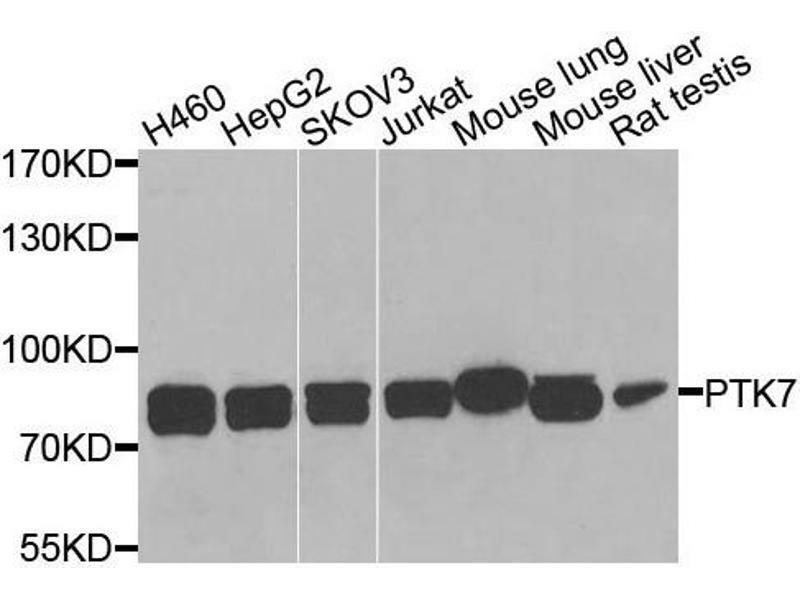 Immunogen Recombinant protein of human PTK7.